As China demonstrated its space credentials by landing a lunar probe on the far side of the moon in January 2019, a science fiction movie was hitting mainland cinemas that could also redefine China’s credentials as a maker of global cinema. 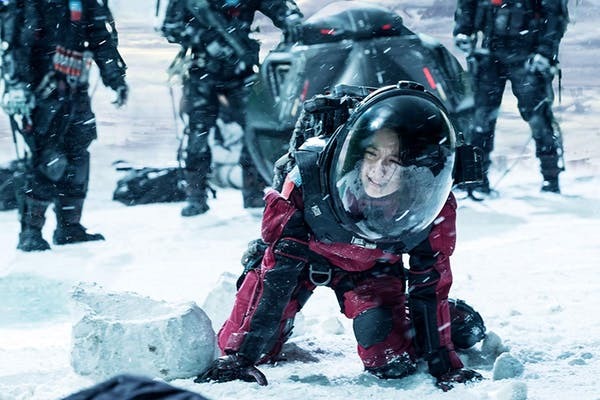 The Wandering Earth, directed by Frant Gwo is the world’s highest-grossing film so far in 2019 with box office takings of almost $700m at last count – mainly from China itself. The film is based on the novela of the same title, written in 2000 by Chinese science-fiction author Liu Cixin, about Earth’s migration to a new solar system to escape annihilation. Liu was at the forefront of Chinese science fiction in the 1980s, an era where China reconnected with the world after its long internal political struggles of the Cultural Revolution in the 1960s and the 1970s. Liu’s first full-length novel China2185, written in 1989, combines a utopian futuristic vision with critical commentary on the social and political issues facing China. China2185 was never officially published but it was distributed free via multiple online reading platforms and is considered by critics as the foundation novel for Chinese science fiction. Liu has continued to write and publish stories which share similar ideas, a vision for a better world through scientific fantasy. These novels include The Devil’s Bricks (2002), The Era of Supernova (2003), Ball Lightning (2004) and The Three-Body Problem trilogy. The latter trilogy, which was given rave reviews by both Barack Obama and Mark Zuckerberg, was adapted as a screenplay for a film under the same title, but has yet to see the light of day. Amazon also reportedly has plans for a three-part, $1 billion TV series. Liu won a fistful of awards including the 2015 Hugo Award for best novel for the English translation of The Three-Body Problem trilogy and the 2018 Arthur C. Clarke Award for Imagination in Service to Society as well as various nominations. 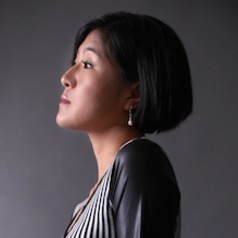 Clarke is one of Liu’s idols, as well as George Orwell – who, he said: “showed me that science fiction can reflect and critique reality from an angle that does not exist in mainstream literature”. His great filmic influences include Stanley Kubrick’s 2001: A Space Odyssey (1968), James Cameron’s Terminator 2 (1991), and Christopher Nolan’s Interstellar (2014). Liu’s Wandering Earth is meant as a love letter – not only to his literary and cinematic idols but also his ideal of humanity. But the film is also a demonstration to a global audience what the modern Chinese film industry can achieve. It is an epic on the scale that can comfortably compete with Hollywood blockbusters, the first real break-out success for China’s sci-fi industry after several failures, including Future X-Cops (2010) or Bleeding Steel (2017) neither of which made a mark internationally. The film was released on February 5, 2019 – the New Year holiday in China – and was marketed as emblematic of national pride. Catching up with Hollywood has long been a state-driven ambition for the Chinese film industry – which has been given the hopeful tag of “Huallywood”. It’s a massive production – a total budget of $50m involving more than 7,000 cast and crew. Special effects and post-production featured international companies such as Base FX, Bottleship VFX, Dexter Studios, Macrograph, More VFX, Pixomondo and Black Nomad and the end product has a similar look to films such as Gravity (2013) or The Martian (2015). It’s a story of growing confidence and sophistication among Chinese filmmakers. It’s also a story which reflects China’s growing geopolitical importance. Earth faces annihilation at the hands of an ageing and rapidly expanding sun. A United Earth Government takes the decision to propel the planet to another system by using enormous thrusters running on fusion power built across the planet but coordinated by China – now the dominant global power. China’s leadership qualities are encapsulated in a sequence where a speech delivered by a Chinese schoolgirl turns global despondency about the dangers of the mission into hope for the future. Like so many Hollywood sci-fi movies in the past have promoted American values, the film delivers a manifesto of Chinese exceptionalism. Only China has engineers capable in solving this complex problem. Only China has the will and the leadership to see the world through a crisis so huge that even the artificial intelligence that has been harnessed to help has told the rest of the world to just give up. I will leave it to you to draw your own conclusions about the message this aims to deliver about global crises faced by our own world today. As well as China itself, the film has been released in the US, Canada, Australia and New Zealand where it is doing brisk box office. A UK theatrical release date has yet to be announced, but Netflix has acquired the film’s global digital rights (apart from China). It will be a chance for non-Chinese audiences to get a feel for the sort of themes that mainstream film audiences are used to now in China, themes that reflect a new world order that is developing at an ever-more rapid pace.